Lower back pain is a health problem that nobody wants to live with and it not only makes leading your daily life difficult but it also deters you from pursuing any kind of physical activity on a regular basis. This is why many people who are afflicted with pain in the lower back region find it difficult to lead a healthy lifestyle through exercise. It can be hard for someone with lower back pain to focus on exercise but you need to understand that some exercises target the root of the issue and this is where the healing process begins. Back pain may be attributed to several factors, ranging from severe injury to the body to genetic malfunctions. However, several studies have been conducted in recent times that connect pain in the lower back with an absence of core strength, thereby leading to stiffness and pain in that area. Thus, it is recommended by many health care providers now that exercise is one of the leading methods of reducing, and ultimately eradicating, back pain. It helps you regain your core strength gradually and, therefore, you do not sustain any sudden pressure or trauma to the back. How should you deal with lower back pain? This is not an indication though that you will not feel any sort of pain at the time of exercising. On the contrary, when you begin to exercise, you might feel the suffering and discomfort in your lower back increasing. The long term benefits of this practice, however, are undeniable and soon you can kiss your lower back pain bye. You must execute the necessary exercises under the watchful eye of your health care provider rather than experimenting with various positions to see what works for you and what does not. There is no room for trial and error and you need positive guidance if you are to actually prevent lower back pain in the long run. There are loads of people who have found freedom from lower back pain on a long term basis by concentrating on hip, abdominal and lower back stretching and strengthening exercises. These are some of the problem areas of the body for individuals with lower back pain and this is exactly where exercise steps in and takes care of the problem bit by bit. 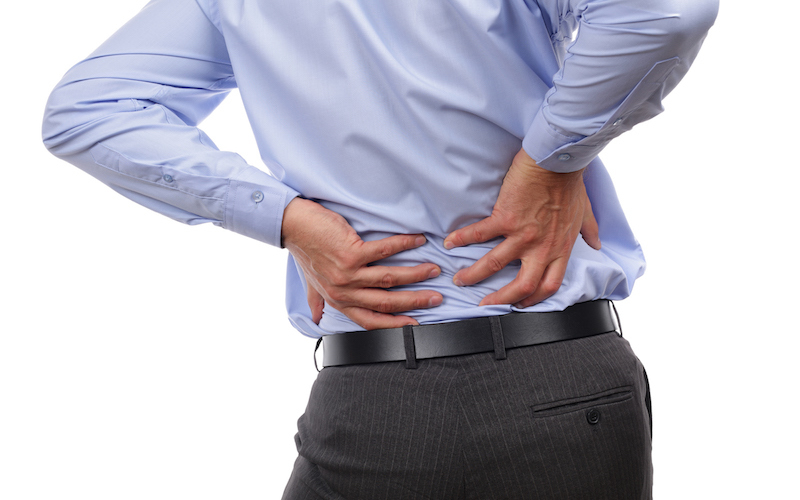 How to understand the causes of lower back pain? For a lot of people, aches in the lower back section could be the outcome of abdominal muscles of the body that are weak and weary. If your abs become weak, there is a possibility that you are going to suffer from poor posture and in this case, it is the role of your lower back muscles to take care of the problem, which means that a tremendous amount of strain is exerted on them. Moreover, if this sort of a pressure is applied for extended periods of time on the muscles in the lower back then you might start experiencing pain or discomfort after some time. Flexibility of lower back: Lie on your back and bend your knees. Your feet should remain flat on the floor. Then start arching your back and stay in that position for 5 seconds. You should relax back onto the floor and start flattening your back as if attempting to pull your navel down near the floor. This position needs to be kept for 5 seconds prior to relaxing on the floor. You should attempt this exercise five time a day and can raise the number gradually up to 30. Rotation of lower back: Lie on your back and bend your knees while keeping your feet flat on the floor. Your shoulders should touch the floor and in that position, you need to roll your knees to one side. Stay in this pose for almost 10 seconds before going back to your original position. Make sure you repeat on the other side. Two to three times on both sides of your body is going to be good for your lower back. Stretching while sitting: Cross your left leg on top of your right leg while sitting in an armless stool or chair. While you stretch to one side, twist your torso. Make sure you remain in this position for 10 seconds before you repeat on the other side. Do this five times a day, three to five times on every side.